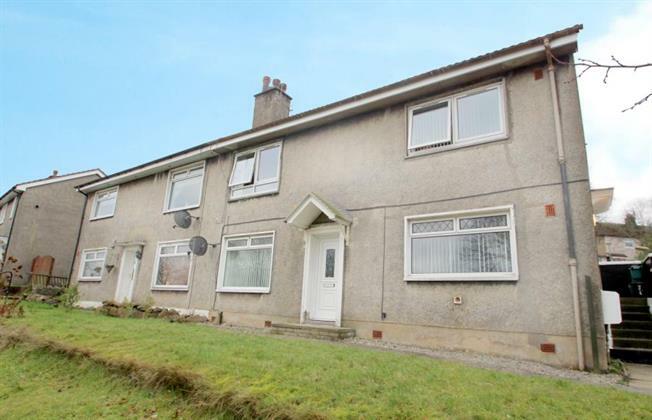 2 Bedroom Ground Floor Flat For Sale in Paisley for Offers Over £65,000. A spacious and well presented two bedroom lower cottage flat set in a popular location. The accommodation extends to a welcoming reception hallway leading into beautiful front facing lounge. The kitchen is accessed from the lounge and offers ample storage as well as access out into the enclosed rear garden. In addition there are two double sized bedrooms and a modern fitted bathroom. The specification of the property extends to double glazing and private gardens. The property is well placed for a range of local amenities including schooling and shopping. Transport networks provide access to all surrounding areas. Early viewing is strongly advised.